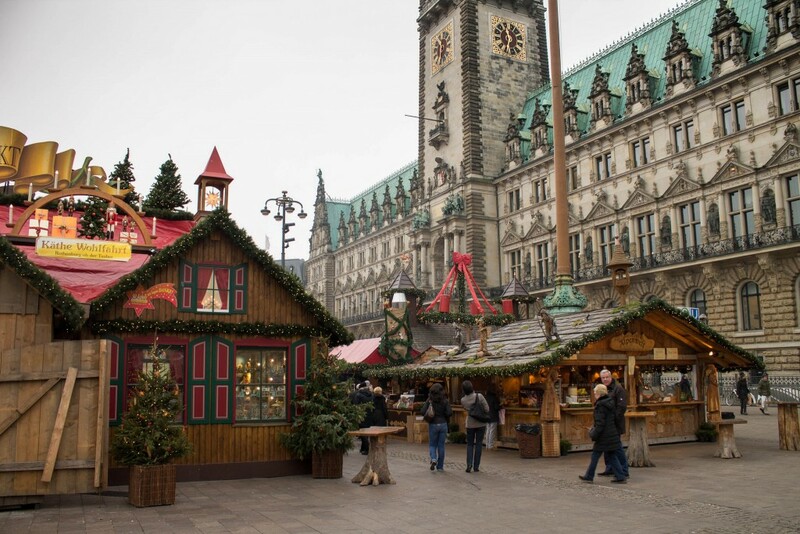 The Christmas market has become a key part of Europe’s festive season. Both capital cities and smaller towns are joining the craze, with markets providing an opportunity for local craftsmen to sell their wares and for visitors to find unique gift inspiration. Many markets feature parades, shopping, music, and entertainment, celebrating local traditions that have become entwined with the Christmas story. We unwrap 10 of the best Christmas markets in Europe. 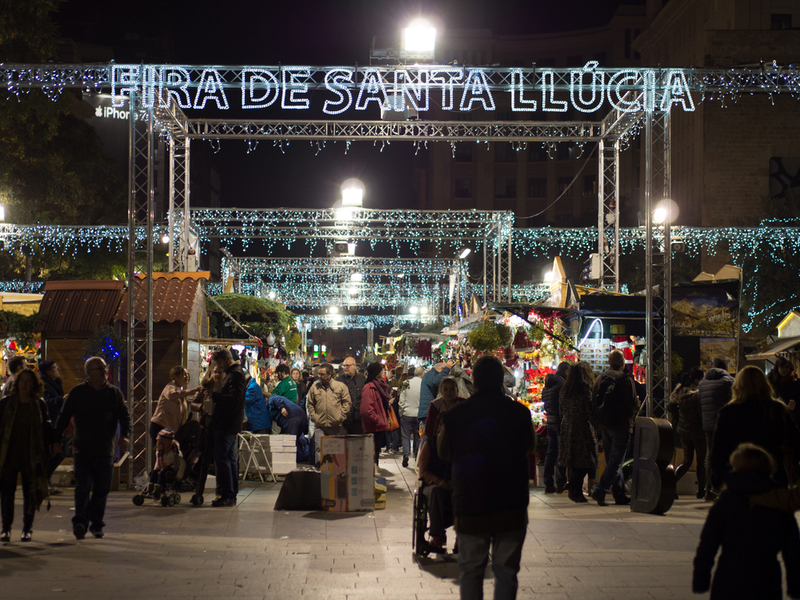 The Barcelona Fiera de Santa Llucia has been in operation since 1786 and features 300 stalls selling an assortment of gifts and handmade decorations for the home. The festival is also a celebration of some rather strange Catalan Christmas traditions. Much like the markets in Bologna, there are parades and huge cribs built to celebrate the Christmas story. In Barcelona, the scene also features a bizarre character called the caganer or ‘crapper’, who squats with trousers around his ankles. Many celebrities have been used as the base for the caganer and miniature caganer figures can be bought from many of the stalls. There are also stalls selling traditional Catalan instruments such as the simbombe tambourine. 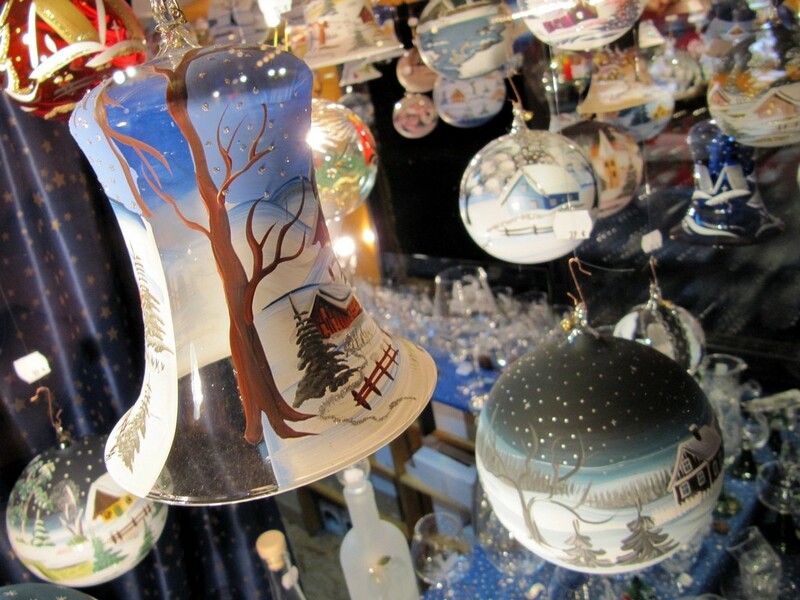 When thinking of Christmas markets, you tend to think of Middle rather than southern Europe. However, in countries such as Spain and Italy there is a strong tradition of festive markets with some highly idiosyncratic traditions. 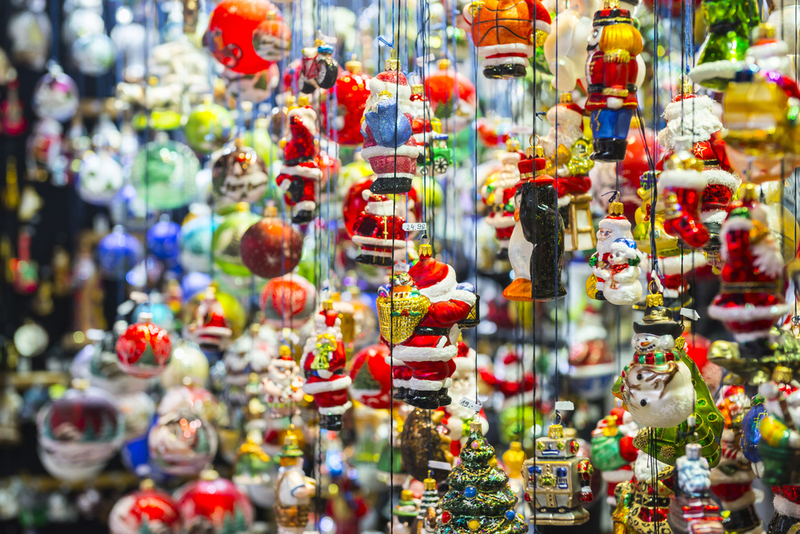 Bologna is home to one of the oldest Christmas markets in Italy which is based in two locations. The Fiera di Natale market is based in the piazza in front of the 12th century San Pietro Cathedral, and the smaller Antica Fiera di Santa Lucia is situated in the cloisters of the church of Santa Maria dei Servi, where it has been based since 1796. Gastronomy is a key part of the market, especially torrone (festive nougat made with almonds and honey). Bologna also has a tradition of making unique figures for the Nativity crib including a character entitled ‘The Wonder’, a woman who stands in awe at the infant Christ, and the male ‘Sleeper’, who lies slumbering in the background. 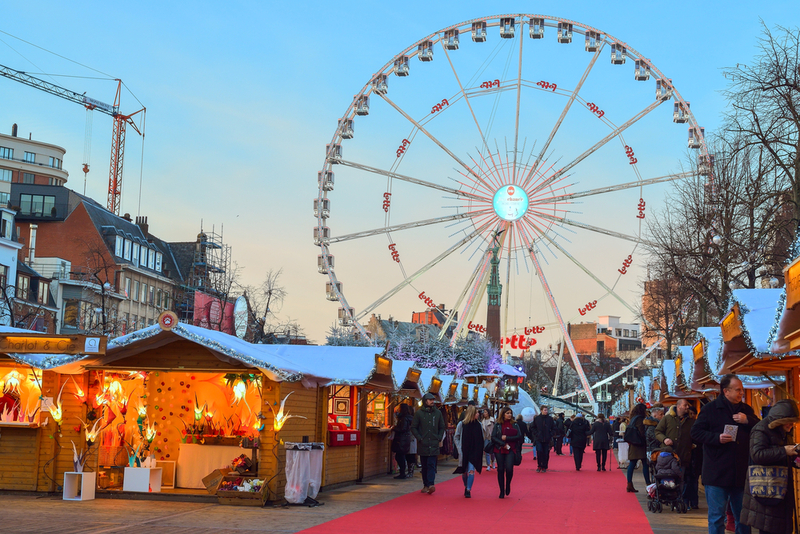 Brussels is a relatively new Christmas Market compared to the likes of Strasbourg, but is becoming increasingly popular with visitors. The market is entitled Plaisir d’hiver or ‘Winter Wonders’ and spills out from the Grand Place to the Place Ste-Catherine over a 1.2 mile area. There are 240 stalls selling everything from arts and crafts items to food and drink, with handmade decorations available to take home. There are also toboggan slopes, ice rinks and a huge Ferris wheel covered in lights. St Gallen is just one of several Swiss cities to hold a Christmas market and there are also big celebrations in Zurich, St Moritz, Bern and Basel. St Gallen, though among the smaller markets, provides the finest backdrop for festivities, with the market taking over the half-timbered historic center of the city. The Baroque cathedral is lit up and the largest tree in Switzerland bursts into life with thousands of lights. There are around 70 stalls serving steaming mugs of mulled wine and traditional rum punch; melted Swiss cheese on rustic bread; and plates of delicious bratwurst. The festival is well known for the hundreds of lights in the shape of stars suspended above the market and city streets. Hamburg is perhaps the most diverse of all of Europe’s markets, containing smaller markets just for adults and for specific types of gifts, spread right across different parts of the city. The oldest part of the market is based around the church of St Petri, with a further 14 smaller markets across Hamburg that see a total of three million visitors over the duration of the market. 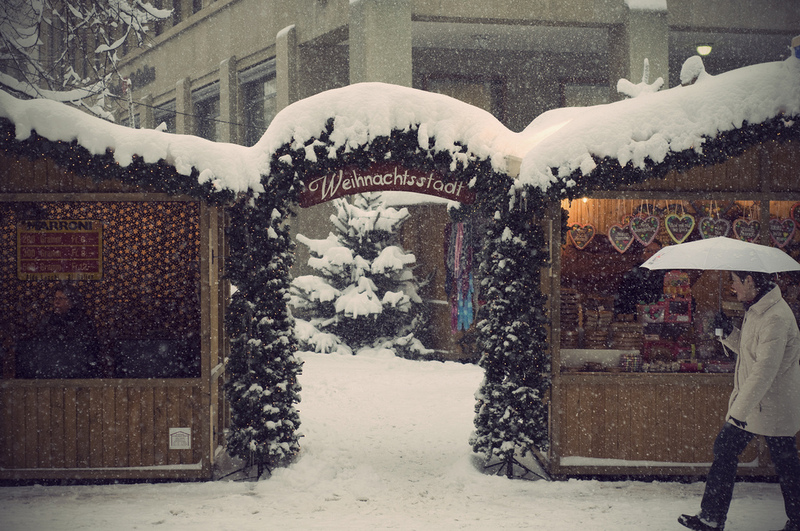 You can find stalls selling craft gifts; chocolates and other sweet treats; toys for children; woodwork from specialist craftsmen in the Tyrol; cakes from Aachen bakers and traditional sausages and gingerbread cake. The Jungfernstieg market is packed with luxury items, whilst the Santa Pauli area is strictly for adults only. The Prague Christmas Market is based in Wenceslaus Square, the same Wenceslaus who featured in the carol, and the Old Town Square. The market offers up and celebrates traditional Czech culture and handicrafts. There is copious beer on tap; choirs from local schools; and classic Czech foods such as roasted hams, barbecued sausage and the hot sugar-coated cake known as Trdelnik. The stalls sell items such as glassware, jewelry, embroideries, toys, ceramics and scented candles. All of this takes place in the shadow of a huge tree flown in from the Krkonose Mountains in the northern Czech Republic. First held in 1570, the Christmas Market in Strasbourg is the oldest in France and one of the most-celebrated and popular in all of Europe. It is estimated by the organizers that the market sees over two million visitors each year, with hotels being booked up twelve months in advance for the following year’s festivities. There are 300 stalls dotted around 11 different locations in the center of the city, mostly around the magnificent Gothic Cathedral and along the Place Austerlitz, Place Gutenberg, and the Place Kléber. You can buy traditional decorations, plenty of Alsatian food, such as pretzels and spiced bread, or head to the book market and the Belgian village. 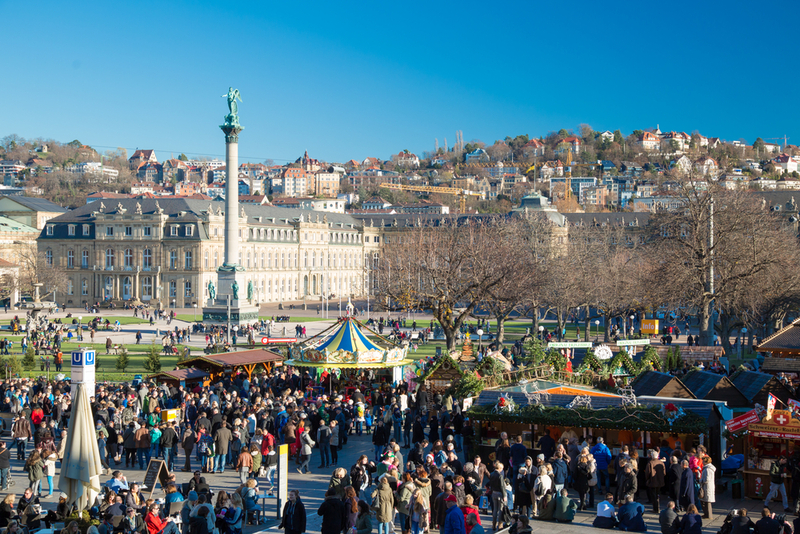 The Stuttgart Christmas Market, or Weihnachtmarkt, has been going since c.1692 and is made up of around 300 stalls. The market is located on the cobbled Marktplatz, Schillerplatz and the Kirchstrasse in front of the magnificent architecture of the 14th century Old Castle, the Baroque New Castle and the Neo-Classical Königsbau. There is a nativity scene with live animals; a ‘Kinderland’ for children, packed full of grottoes and toy stalls; and outdoor and indoor concerts. Among the delicacies on offer are traditional Black Forest gateaux, cakes and roasted chestnuts, whilst craftsmen offer handmade wooden puppets, and decorations. 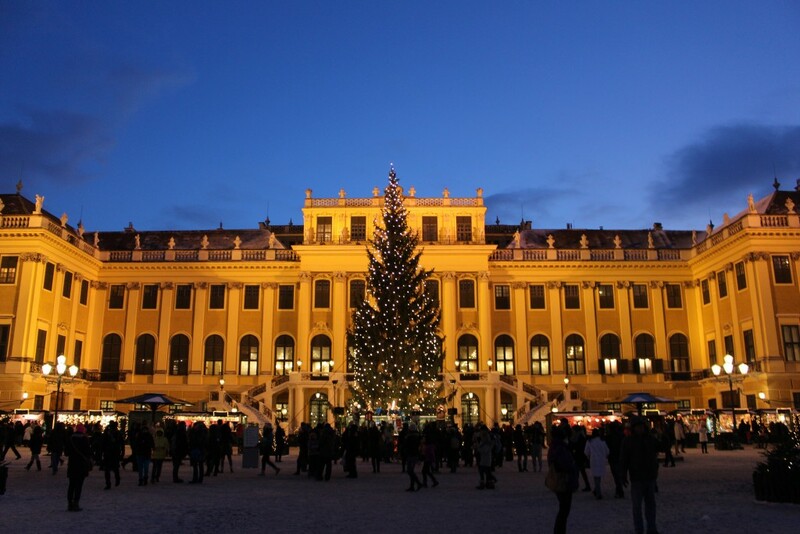 Vienna can claim to be the main center for Christmas markets in Europe, with many different markets being hosted in and around the city, such as the Karlsplatz market, the Stephensplatz market, and the historic Old Market on Freyburg that dates back to 1772. By far the most romantic of the Viennese markets, however, is held in front of the magnificent Schönbrunn Palace, an opulent Neo-classical palace once owned by the Imperial family. The façade is lit up and provides the backdrop for around 60 stalls, offering traditional craft goods and food. There is a giant Christmas tree as well and delicacies such as strawberries covered in chocolate, cookies, and gingerbread. Schönbrunner Schloßstraße 47, Vienna, Austria, +43 1 817 41 65-0. 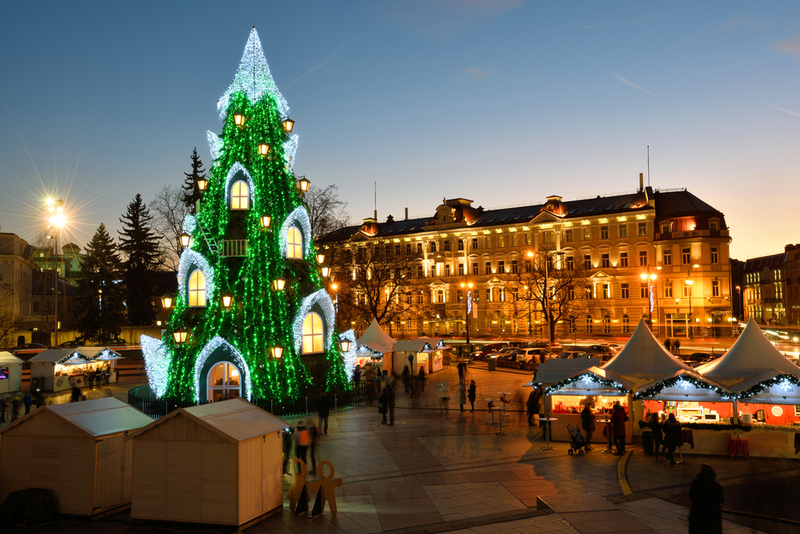 Vilnius is one of the most overlooked and also the most lavish of Europe’s Christmas Markets. The 550ft TV Tower is turned into a huge Christmas tree and the markets are found in the old Cathedral Square, in City Hall Square and in the Bernardinai Gardens. There are stalls selling traditional Lithuanian handcrafted goods, cakes and pastries such as poppy-seed cake and ragoulis. In the Cathedral Square market there is a huge 3D display on the side of the cathedral that plays a fairy-tale story entitled the ‘Christmas Dream’. In the Bernardinai Gardens, you can find carousels and games, whilst the City Hall Square market is home to the International Christmas Charity Fair at which sweets and souvenirs made by the wives of foreign diplomats and ambassadors are sold.